Keys, wallet, smartphone…These days, it’s fairly common for people to be seen using mobile devices for their work-related tasks. But with this welcome flexibility comes the daunting task of making sure that usage is properly managed and regulated. Formulate a Specific Policy For IT: One common mistake many businesses make is that they lack a policy specifically for the use of mobile devices. This is where you determine whether employees can use their own personal devices for work or not, indicate reimbursable expenses and other costs, and control networks where business-purpose devices can connect to. 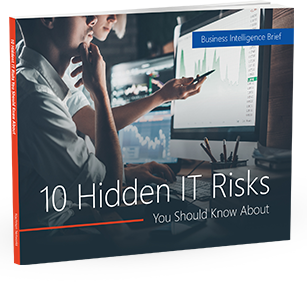 Have a Security Action Plan: Data security is a major issue for any IT device, especially one that employees can take outside of the office. It is then imperative that any device used for business has the proper security to protect it from online attacks, and remote access features that allow it to be completely wiped, or “bricked” if said device is stolen. Consider Developing Your Own Applications: Customized applications that employees can use for their business needs can prove to be much more secure, and more efficient than other third-party apps. As they’re made specifically for you, you can be sure that tasks done through mobile devices and the corresponding output are better tailored to fit into your organization’s work flow. If you would like to know more about how to better manage the use of mobile devices for your business, please don’t hesitate to get in touch with us. We’d love to sit down with you and discuss a possible blueprint that addresses your business’s specific needs.